Handcuffs are simply a device to restrict the arms of a detainee by linking two bracelets around each wrist. They are straightforward in design and purpose and only intended for temporary use. If you are a law enforcement officer, a pair of good-quality handcuffs is essential to do your job. Choosing from the available handcuff modes on the market is a tough job because some are garbage and some types of handcuffs stand out from the rest. After spending some time to look at the best police handcuff reviews, you can move towards the specific model to make your purchase. No matter the situation and purpose, there are a few types of handcuffs that you will want to know about. 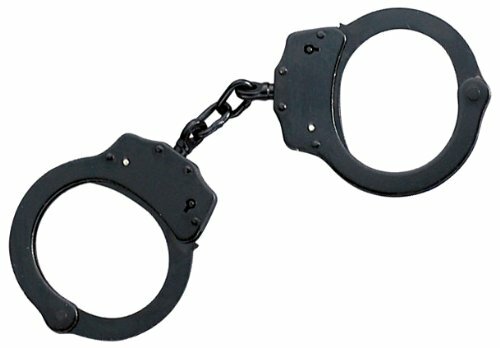 Here we have arranged a list of ten best police handcuffs from different renowned manufacturers. Our experts have discussed the positives and negatives with more detail information. Before making your decision, you can consider one from the list we have discussed. After reading about each handcuff and their pros and cons, you will be able to pick one without hesitation. We hope you will be ready to go on using your pair for years. The most popular police handcuff around the world is Smith & Wesson. Nickel plated carbon steel M100-1 handcuff a fantastic product. Its carbon steel provides more strength and Nickel plates offer a corrosion resistant surface. It double locks helps to prevent tampering. Its satin Nickel finish makes it shiny, and handcuffs appear cloudy. Its double lock is solid, and its mechanism is very smooth. It has a good metal shape. Solid, durable construction, as well as smooth functionality, makes it popular. This handcuff is very easy to grip. Its slot lock double locking mechanism makes it sturdy. You do not need to worry about handcuffs from being more tightened. During double-locked handcuffs will not be tightened. Its pivots slide 3600 very smoothly. Its chain links help to operate smoothly. It is very easy to operate and smooth for functionality. This handcuff is a very long lasting product. For its lightweight, it’s very easy to work with it. For swift cuffing, it will be the best choice for you. If you are searching for a Professional Grade Handcuffs, VIPERTEK Double lock steel Handcuffs would be a good fit for you. It has both single or double lock option. For its welded chain links make the handcuffs easy to work with. Sturdy and steady black double locking steel allows you to lock cuffs easily. No need to worry about tightened on the wrist. Its standard police size cuff keys will work on Smith & Wesson, Hiatts and Peerless brands. Its steel made chain works very smooth. This is very durable police handcuffs. The unlocking system of it is very smooth and easy. It will be comfortable to fit with the wrists. For its amazing black color, it looks very nice. The locking mechanism is very comfortable. It’s a very good set of cuffs. Construction of this handcuffs is very solid and study. You can use this handcuffs for swift cuffing without any hesitation. There is no need to describe Smith & Wesson handcuffs. It is made-up from the best quality carbon steel. It is manufactured with heat canned internal lock works provides smooth ratchets for swift cuffing. Its excellent double lock system helps to prevent tampering. It has 22 different locking positions. Nickel plating helps to protect from corrosion, and it is wear resistant. The Smith & Wesson Model 100 chain works very nice for its smooth ratchets feature. The double locks help to prevent tampering. 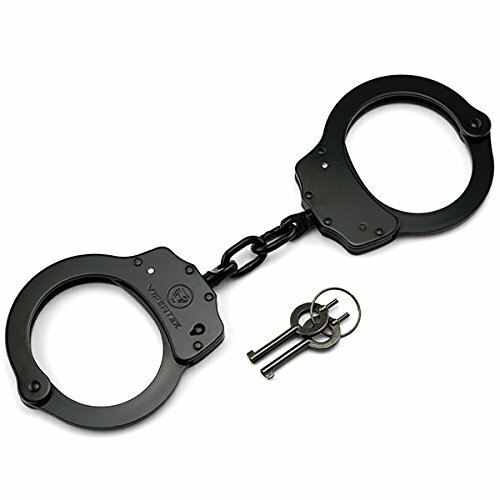 These handcuffs fulfill the standards which are required for police equipment. It is an excellent quality handcuffs. Operating with its double lock mechanism is straightforward. Considering its price and sturdy construction, it will be great fit your demand. No need to concern about security measurement of it. The melonite finish makes it gorgeous to look. It is solidly constructed and excellent wrist restraint tools. Overall, it is very suitable for swift cuffing. The Peerless Handcuff Company is making quality products for over thirty years. 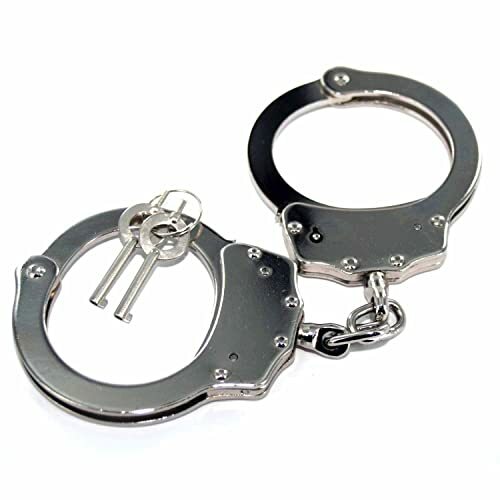 They are one of the trusted manufacturers of handcuffs in the market. The Peerless Model 801 offers additional restraint by more successfully restricting hand and arm movements. These are excellent quality and stand out. The Model 801 features all sturdy steel construction, tumbled edges, spun rivets, and smooth single strand action. It offers 10% larger inside perimeter then the chain linked Model 700. They always go on straight and are easy to put. Besides, the National Institute of Justice approved the Model 801P. This handcuff includes two keys. This is a made in the USA product. They are available in black, nickel, blue finish, orange finish, pink finish, yellow finish, and red finish. The Model 801 folds flat for compact storage. With the purchase, you are getting a lifetime warranty for manufacturing defects. This professional grade handcuffs are the top-rated chained handcuffs by Vipertek at a low price. These sturdy and dependable double locking handcuffs are made of heavy duty steel. They have welded chain links and a silver nickel coated finish. These handcuffs are not merciful and not a toy. If you are buying these for kink, you better go with something a bit more gentle. They feel heavy and of good craftsmanship. They will work without flaw, and the price is also very reasonable. The double lock feature allows you to prevent the captive from closing the cuffs tight on the wrist. They will not accidentally over tighten on your wrists, and they have the double locking feature. The included standard police size two keys will work on Peerless, Smith, and Wesson, and Hiatts brands. Overall, these cuffs are very impressive for the quality and price. The Mtech has been manufacturing high-end tactical gears for many years, and these handcuffs are the outcome of their dedication and commitment. The MTech USA MT-S4508 Series is one of the surest ways to ensure the safety of the person on both sides of the cuffs. These are made of heavy-duty carbon steel or heavy-duty aluminum. They could be an excellent collection to your self-defense arsenal. They are heavy because the metal is very sturdy and strong. The loops are small, perfect for individuals who have small wrists. The Mtech USA MT-S4508 Handcuffs was ideally built for law enforcement personals to have a reliable pair of handcuffs. These are double-lock handcuffs cuffs and come with two keys. They come with two keys, and you can lock them in two different ways. They are available in black, silver, matte silver, nickel silver, pink/silver. Considering the price and quality, you can’t get better. The Peerless Handcuff Model 700 is very popular in the market for its durability and smooth operation. Spun rivet construction makes this product sturdier. Its smooth single strand action makes these handcuffs perfect for efficient cuffing. The NIJ approves model 700. Lifetime warranty for manufacturing defects makes these cuffs very effective. Smooth hinges added extra solidity of these products. Nickel finish makes this product very charming. The rivets are in very good shape. The design of the cuffs is very classic. The double locking function is easy to access. The locking mechanism with an additional two keys provides strong security. Its push pin double locking with beautiful design is fit for any professional work. It will be very effective for heavy duty and ensure high security. These cuffs are sturdy and work very smoothly. No need to worry about its security measures. You can easily choose these handcuffs both for your professional and non-professional works. Considering its classic design and strong locking mechanism, it will be an excellent buy for you. The VIPERTEK Professional Grade Handcuffs are certainly a perfect buy for your tactical training or personal defense. They are real handcuffs, not a toy. These Professional Grade Handcuffs are heavy duty and super strong. They are sturdy steel made, dependable triple hinged, double locking. The double locking feature allows you to prevent the prisoner from closing the cuffs tight on their wrist. They are greatly appreciated and always a common choice amongst many like-minded people. Triple Hinged Professional Grade Handcuffs feature the black finish, and they include two cuff keys. They feel a lot better than the higher end brands. They are the totally heavy duty and when you have got them on you cannot even twist your wrist and get them off. While wearing them, you cannot take them off with the key, and it takes a second person. They are available in black. Overall, great quality for the price! If you are looking for serious handcuffs instead of a toy, these handcuffs are for you. 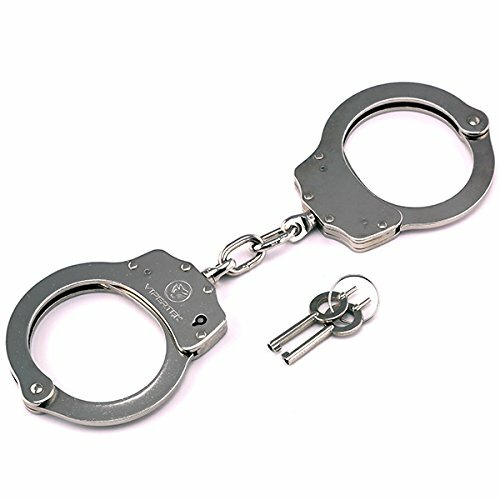 These steel handcuffs are made specially to protect yourself on a daily basis. These professional grade handcuffs are made to handle the demands of police, military, CIA and special black ops. 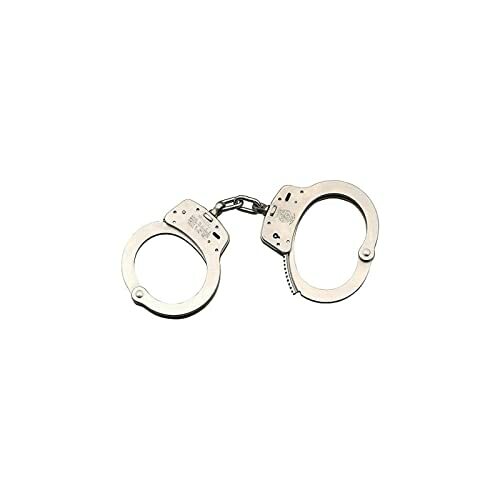 These handcuffs feature heavy-duty, rugged and durable construction. They are 100% steel and are forged to the absolute highest standards to ensure you 100% secure locking. They are the real thing! Their bulletproof double locking key system ensures you that your detainee won’t get away. They are the one of the strongest in the market and made to absorb abuse and heavy-use, just like the professionals. They also used Matte Black finish for long-lasting performance. They are of very compact and convenient size of 0.32 x 3.75 x 3.75 inches and will work very well for your pocket, tactical gear bag, or purse. The handcuffs are extremely strong while weighing only 9 ounces each. If you are looking for Professional handcuffs than Ace Martial Arts Supply Professional will be perfect for you. It’s made of from stainless steel that makes cuffs very sturdy. Double locking mechanism with two keys makes these handcuffs very solid and professional. 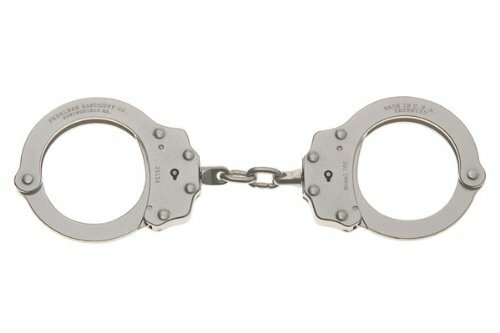 These handcuffs are the perfect choice for self-defense purposes. Its double locking mechanism helps to avoid injury to prisoners. Its additional two keys feature is suitable for Actual Law Enforcement or Security concern. Its Brushed silver coating offers charming finish and provides more durability along with corrosion- resistance. No need to concern about its security measures. It’s very easy to work with these handcuffs. Additional locking pin helps the chain from being too tightened. The construction of these handcuffs is very solid, and the locking system works properly. Its grab the attention in the market for its excellent design and quality. This also is an excellent choice for your Halloween costume. Considering its price and quality, it will be the great product for you. There are quite a few choices for quality handcuffs. All the handcuffs mentioned above are sturdy, secure and high-quality. Before making the decision, you need to consider some factors. The types of people you are going to place them in, your budget, the brand, and the model, etc. 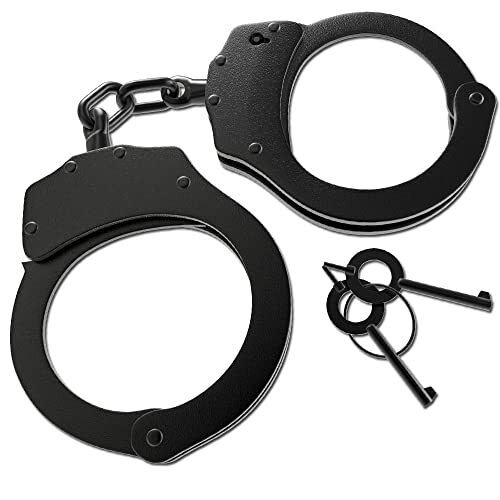 We hope, this best police handcuffs article helped you with useful information. Because we have also considered the above factors while making this list.